Jun 25, 2004 Added a few more pictures of my 1996 Acura TL after adding a new wing and painted sideskirts. Sep 18, 2003 Added some recent pics of my car to the Photo Gallery section. Sep 16, 2003 Added a few more pictures of my 1996 Acura TL. May 02, 2003 Added some recent pics of my car to the Photo Gallery section. May 01, 2003 Added a few more pictures of my 1996 Acura TL. Aug 07, 2002 Added pics of my '96 Acura with new 18" Lorenzo wheels. Apr 20, 2002 Added 3 pics of my car with the new body-color mouldings. Nov 01, 2001 Mike's 1989 Accord named Car of the Month from Honda Power. Sep 30, 2001 Added pictures of my new 1996 Acura TL. Aug 23, 2001 Added seven recent new pics of my car to the Photo Gallery section. Aug 22, 2001 Added a search engine to the main page for searching this website. Jul 19, 2001 Revised my Home page to reduce loading time and to better organize and separate all of the different links. Jun 12, 2001 Here's some nice pix showing my new white-face gauges. 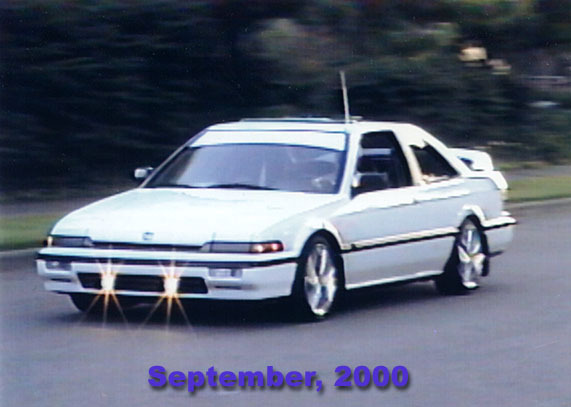 Jun 11, 2000 Added two new Accord links, Dave's '89 Accord and Jerren's '89 Accord. May 20, 2001 Added photos from a recent Northwest get-together of some 3rd Gen Honda owners from Oregon and Washington. May 11, 2001 Updated the page again on original 1989 Honda brochures, adding scans and information on the 1989 Product Guide, Facts Book and Service Manual. May 09, 2001 Updated the page on original 1989 Honda brochures to include scans from a special SEI brochure. Apr 30, 2001 Added photos from the recent Team Car Toys/USO Car Club Competition Show in Seattle. Mar 19, 2001 Added four new links to some great new Honda pages. Dec 10, 2000 Added 4 more cars to the Other Performance Ridz page - Bob's '89 Accord LX-I, Joker's '89 Accord, Mike's '89 Accord SE-I, and Paulie's '86 Accord. Sep 01, 2000 Added a new 'Mike In Motion' picture to the main page. Aug 20, 2000 Added four more ridz to my Other Performance Ridz section, including Justin's '89 Accord LX, Matt's '89 Accord LX-I Coupe, Raf's '88 Accord LX-I Coupe and Robbie's '88 Accord LX-I. July 10, 2000 Added a couple more ridz to my Other Performance Ridz section and also added a couple more web sites to the links page. May 22, 2000 Added a couple more ridz to the Other Performance Ridz section. May 17, 2000 Added three new links. Apr 28, 2000 Added 5 more pictures of my car showing the new paint job to the Gallery section. Apr 17, 2000 Updated and revised the Performance Ridz section. Mar 21, 2000 Updated two of my Gallery photos, one of the rear view and a new interior shot. Mar 05, 2000 Added four new links. Feb 16, 2000 Added pictures of my brand new paint job to my Accord Photo Gallery page. Jan 29, 2000 Added three new links. Jan 25, 2000 Updated my Mods page. Jan 23, 2000 Added a few new links. 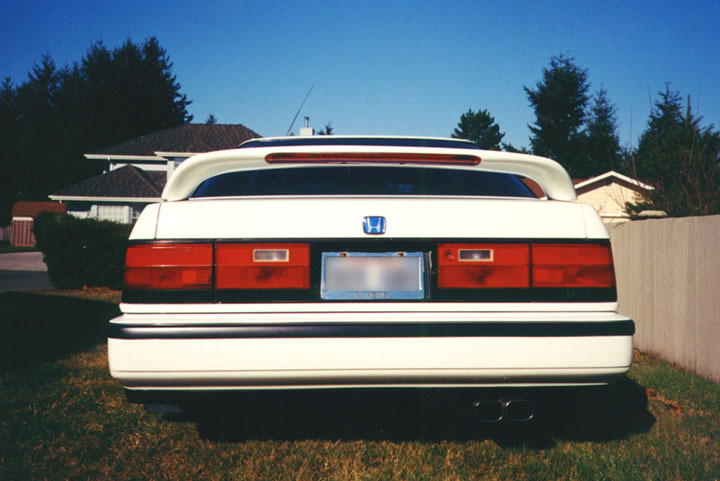 Jan 18, 2000 Added Jakes '89 Accord to the Performance Ridz page.